In order for pupils to have the right equipment to work with early in the year, we have made the list of school supplies available for the school year. List of school supplies (in french). 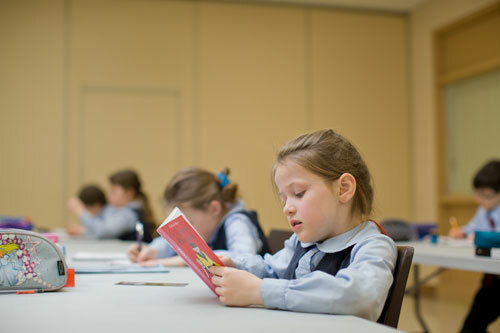 The School Notre-Dame du Mont Carmel requires the wearing of uniforms at all times. This provides the pupils with a sense of pride and school spirit, as well as a neat appearance. In addition, uniforms greatly simplify the daily lives of parents and reduces the costs of purchasing clothing. Business hours are Monday to Saturday from 9:30 am to 9 pm. The owner and employees of the store know the school and the required clothing. Although it is possible to wear used uniforms (clean and in good condition) obtained from families of children attending the school, please note that new uniforms must be purchased from the store. To receive your uniform on time, the deadline for ordering is July 15. We strongly advise you to arrive at the store with your child for a fitting. To complete the uniform, the children must have clean black or blue shoes. The girls must wear blue or white socks or tights. Any other colour is not permitted. For P.E. classes, pupils should also have a cotton-lined bag, comfortable blue or black shorts or pants and an extra pair of running shoes with non-marking soles. You can find the following text in PDF (french version).